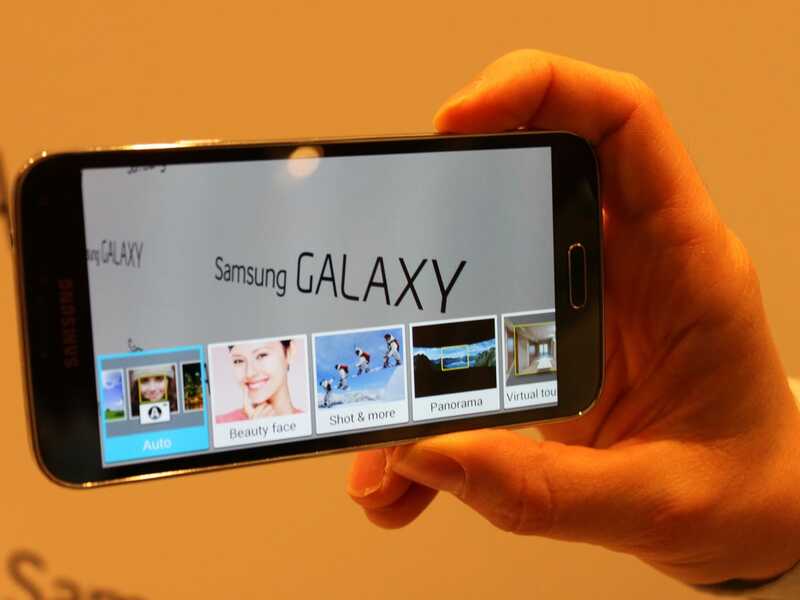 The latest version of Samsung's flagship device, the Galaxy S5, has a few key features that set it apart in the crowded smartphone market. 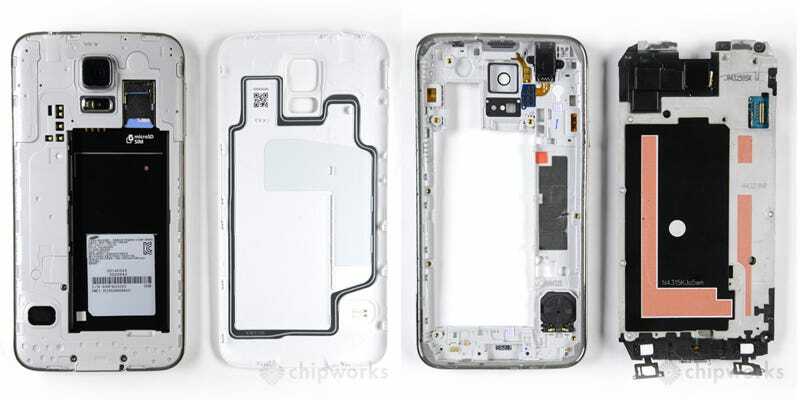 The folks over at Chipworks decided to dive beneath the plastic back-cover to take a closer look at a few of those technologies, including the Galaxy's heart rate monitor and fingerprint scanner. They've given us permission to republish some of their up-close-and-personal photos here. The Galaxy is the first smartphone to introduce a dedicated heart rate monitor, also known as a Biosensor – Pulse/Oxy IC. 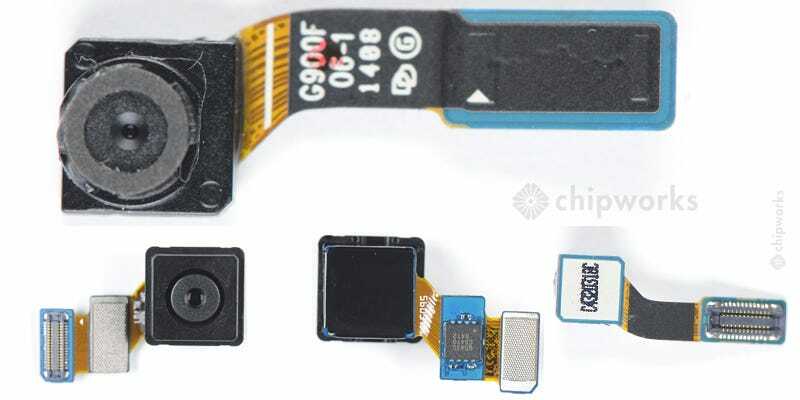 The heart rate monitor is situated next to the flash on the back of the phone. It shines a red/infra-red light through your finger and measures your pulse as your heartbeats. 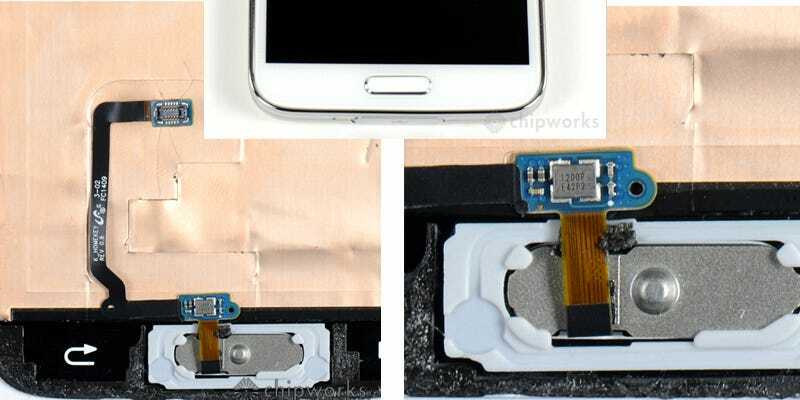 Chipworks took a closer look at the fingerprint scanner on the Galaxy S5, which is actually very different from the one on the iPhone 5S. 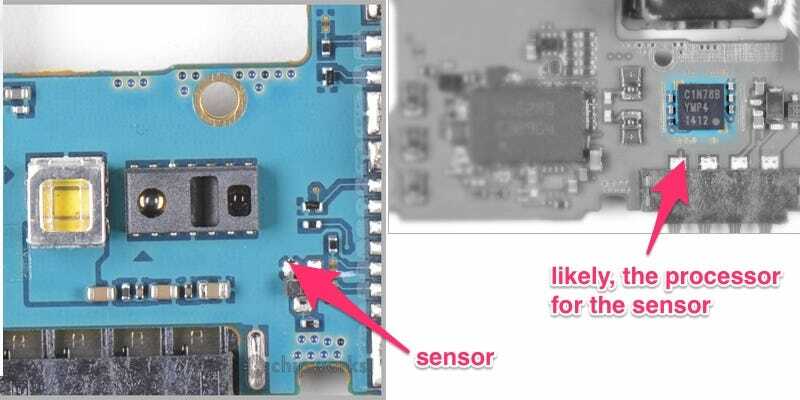 There's a touch sensor incorporated into the home button, but it takes input from the main touch screen. 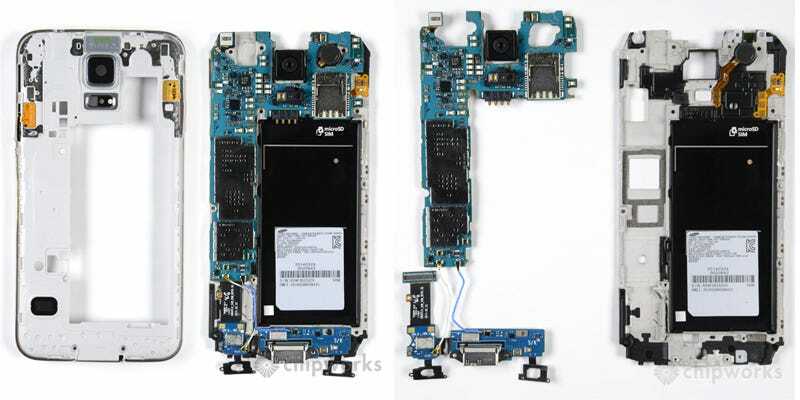 For more photos and analysis, head over to Chipworks.